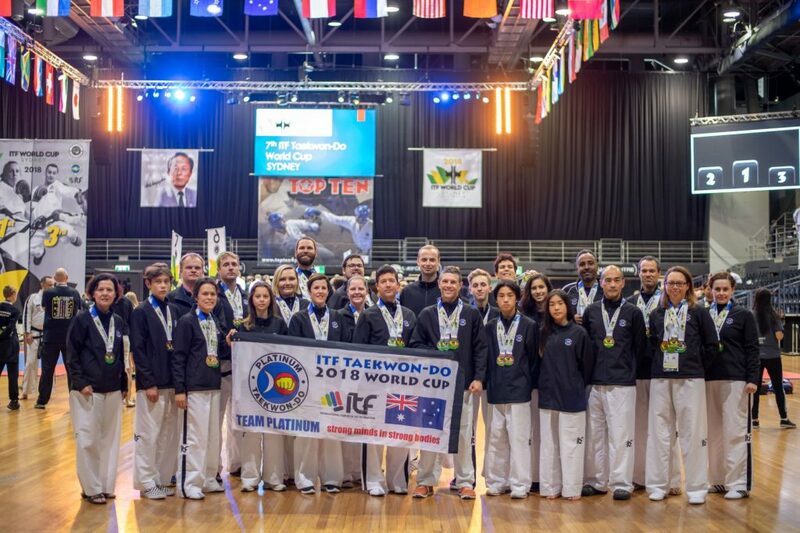 A big congratulations to TEAM PLATINUM on our efforts at the 7th ITF World Cup in Sydney 25th – 30th September, 2018. We had an awesome team of 25 competitors from age 12 upwards (Blue Belt to VI Dan). An absolutely amazing effort. We competed in 65 events including special technique, individual pattern, team pattern, team sparring, individual sparring and power breaking and achieved a total of 24 medals. We placed 5th out of 127 clubs from across the world!! Our coaching team worked tirelessly analysing the schedule to ensure our competitors were prepared, ready to go and supported at every event.